I don't think life could be better today. Firstly, I'm taking a well earned break and am off on my holidays tonight, woo hoo! Finally might get some warm sunshine and I can switch off from the world, lose myself in a good book and do nothing for a week...ahhhhhh. 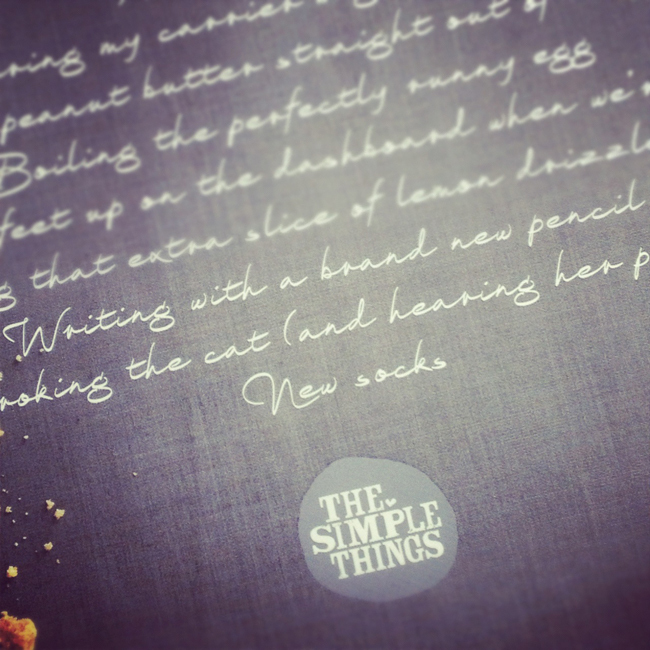 Secondly issue 2 of the new 'The Simple Things' just came through my door just in time for me to take away, perfect timing or what? It's such an interesting and beautifully designed magazine and really glad I'll get time to read it properly this month instead of just look at the pretty pictures! 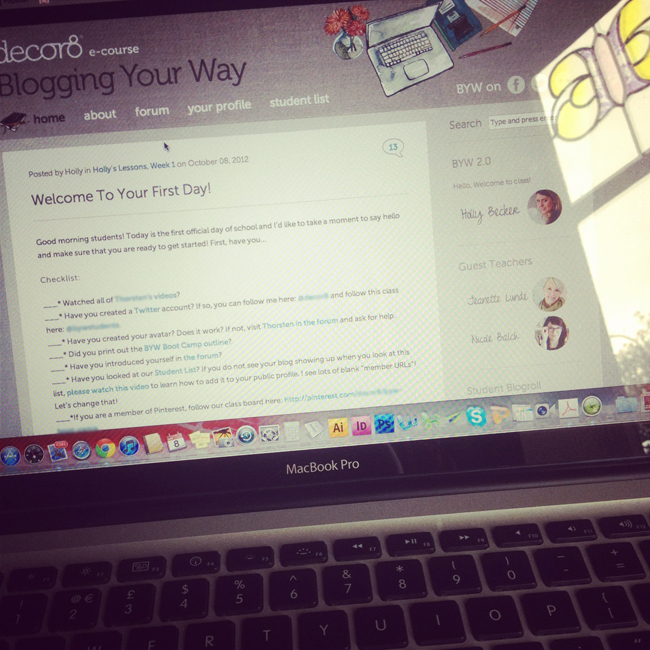 Thirdly, Holly Becker's 'Blogging Your Way Bootcamp' has started. You might remember I first took BYW back in June, well it was so much fun, I made loads of friends and I learnt how to grow my blog from the heart, so I am back for another round with the bootcamp and I can't wait to get stuck in! My pencils are sharpened and brand new notebook at the ready.....(I even noticed one of the things on the list of simple things on this month's magazine is ''writing with a brand new pencil'! ), I'm all set. I'm also really excited that I will be attending Holly's book launch (Decor8 Workshop) at Anthropology London in November. So, although I will be away from my blog for a while, I will be back in a weeks time with plenty of exciting things to report. 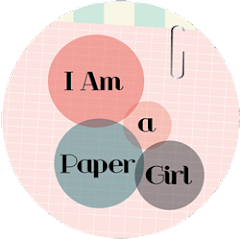 I've got two more great creative interviews to share with you in Mischief Meets including the lovely Silkie of Rosehip Cards who I am very excited to see is a fellow classmate at BYW bootcamp. Hi from BYW! Jealous that you'll be able to attend the London event. Please blog about it so the rest of us can feel like we were there too! Hi Anna. Visiting from BYW. I am enjoying your blog and wandering around enjoying the pretty inspiration. Look forward to seeing you in class. Hope your vacation is lovely! How wonderful that you will be able to attend Holly's London event! Hello Anna! 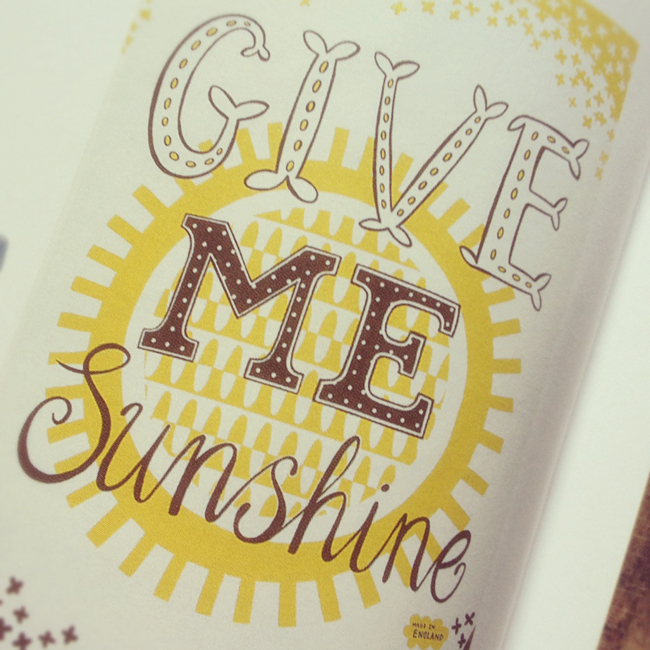 Lovely blog! Just saying hello from BYW. 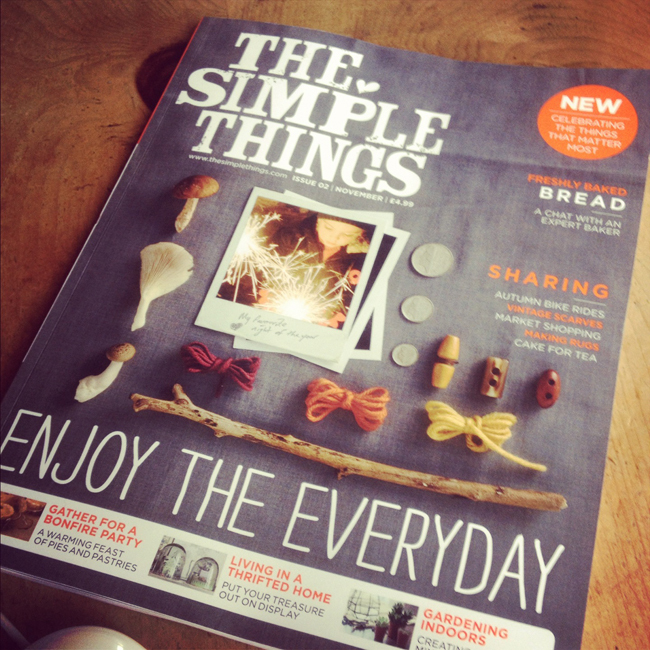 The Simple Things magazine looks very pretty, is it from the UK? Hi Sarah, yes it's from the UK but they deliver nationwide and it's now available in the US too! You can now get it in Barnes & Noble, Jo-Ann's and Books-a-million apparently! Hi, Anna. I'm taking BYW Boot Camp, too, and that's how I found your lovely blog. Love your images, and I'm looking forward to reading more from you! 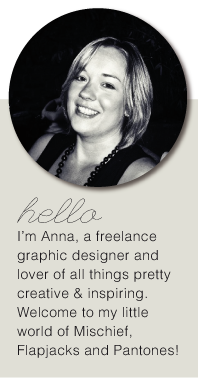 Hi Anna, hope you are still having great holidays, sounds like you got quite far away. I am a bit jealous too that you will will be able to attend the London event but wish you and all the blogger ladies big, big fun. Send us some pics...Hope to see you around the forum! Just checking out your blog - it's really lovely! I will also be at the anthropology meet up so hopefully we can say hello in person then!